← A Terrorist Shrine–Who Decides? Two weeks ago the Mail published an article I wrote, about a landmark horror of ‘The Troubles’ in Northern Ireland. 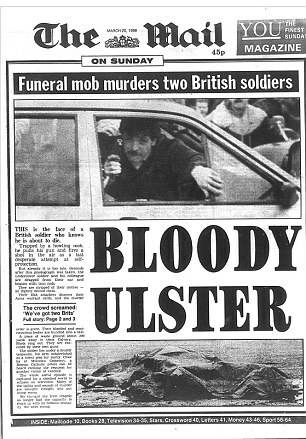 It happened 25 years ago on Wednesday, March 19, 1988, when two British soldiers in plain clothes — Corporals David Wood and Derek Howes of the Royals Corps of Signals — blundered into the funeral cortege of an IRA man who had been killed in a loyalist attack on another paramilitary funeral. Initially mistaken for loyalist terrorists and trapped in their car, they were dragged out in front of the world’s press and viciously beaten in nearby Casement Park. 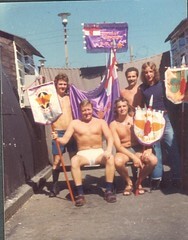 Minutes later they were executed as suspected SAS members. Although armed, they did not fire on the civilian mob, and faced their deaths with forbearance. The killings were compared to the Crucifixion. 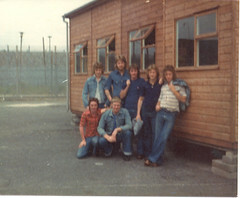 My article threw new light on what the corporals were doing in Northern Ireland — acting as support staff for undercover surveillance soldiers — and why they were not rescued. 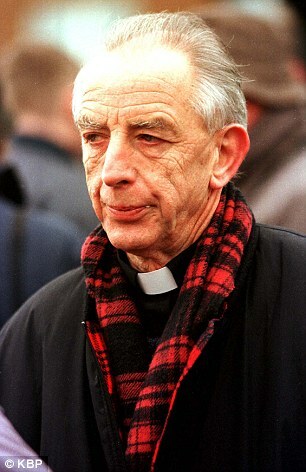 Catholic priest Alec Reid, who tried to save them, had spoken for the first time about the terrible events. 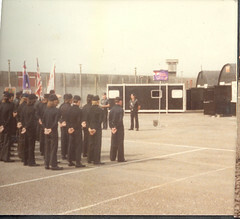 Also breaking a quarter-century silence, Corporal Howes’s father asked for the Army to tell the truth about the episode. But the most unexpected and extraordinary reaction came from a Catholic woman who was then living in a hard-line Republican area. Nuala Cassidy, as I will call her, lost her father to The Troubles, and her family was terrorised by paramilitaries from both sides. Her mother was a witness to the corporals’ lynching. Nuala was so horrified — and moved — by her mother’s account that in an extraordinary act of courage and defiance of sectarian prejudice, she named her first child after the two slaughtered soldiers. Today, in an open letter to Corporal Howes’s father, she writes of the indelible mark left on her own life by the atrocity. She does not want to use her real name, as many members of her family still live in and around nationalist areas of Belfast. There is a kind of peace now — but the scars have yet to fully heal. 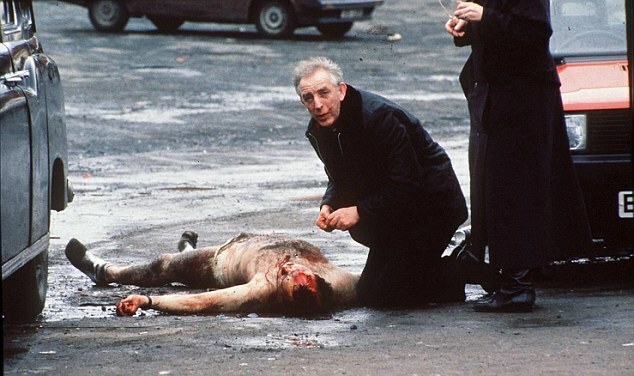 For 25 years I have so wanted to get in touch with you but I was afraid to, in case contact by a stranger with my background — a working-class Roman Catholic from Belfast — would upset your family and that of Corporal Derek Wood. Also, if the IRA had found out, my life would have been over. These days I don’t fear them as much. I don’t think I ever really did, for myself. It was more being scared of how a ‘mistake’ on my part would impact on my family. We had already been through enough, as I will explain. But Easter Week is a good time to reach out. Maybe first I should tell you a little bit about myself. 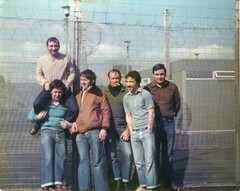 I was born in Belfast at the very start of ‘The Troubles’. I wasn’t so very different in age to your son David. A few years younger. What set me apart from most of those around me was that my Catholic mother had fallen in love with a Protestant man. I was the result, and as they weren’t married I am the proverbial you-know-what. 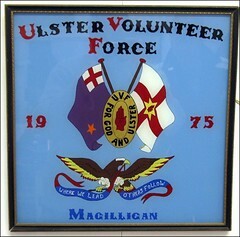 At first we all lived together as a family in a Catholic enclave, which was also an IRA stronghold. But my dad was considered an outsider, given his religion, so ‘they’ came for him one night and he was warned to stay away from the area. He found lodgings on the [Protestant] Shankill Road, and sometimes Mom and I stayed over with him. 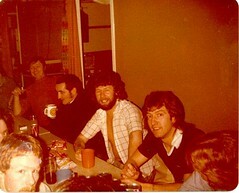 One summer’s day in the early Seventies, out of the blue he came to visit us. The week before, Mom had found out she was pregnant again. There was talk about us all moving to the city where Dad was from. But Mom was horrified by his visit. She knew he wasn’t safe, as he had been threatened to stay away ‘or else’ by the IRA as recently as March. In our neighbourhood, everyone was watching everyone. And my parents’ relationship was strained enough — through being forced to live apart. Mom asked Dad to leave the area, promising they would talk another time, somewhere more safe. The next thing she knew, my dad had been murdered. 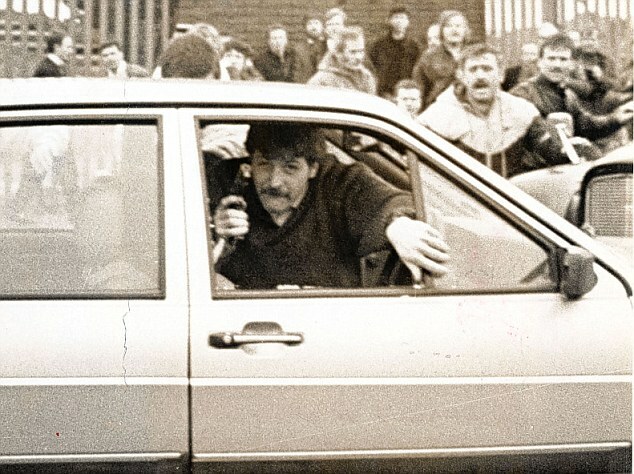 No one claimed responsibility for his death but it was likely a loyalist killing, given he was found in one of the spots where the notorious Shankill Butchers gang [thought to have killed at least 30 people] used to dump their victims. My father had been shot. After that, my mother — who’d loved across the sectarian divide — just wanted to get on with her life without interference. She didn’t want to be involved with any paramilitary or political activities. But every week, Republicans in our area collected house-to-house for the Prisoners’ Relief Fund. 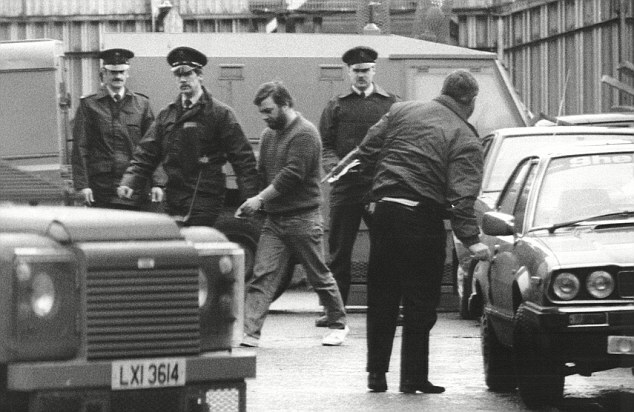 Every time an IRA ‘volunteer’ was killed, they collected more money. My mother never contributed anything, and that drew the worst kind of attention to us. In our neighbourhood, there was a group of men who terrorised people and thought they were untouchable. My mom wouldn’t let her house be used for IRA operations, and it all went from there — stone-throwing at the house and my family, following us, threatening and beating us. As a teenager, I got into trouble for hitting a girl who had threatened my mother. Our mistake was to try and stand up for ourselves. I can’t in a few words describe how difficult it was, and still is. It would take an entire book. And so to that terrible day 25 years ago… I will never forget it. It was a Saturday. I was unemployed but was out doing some work at an old people’s home. There were no buses that day and my mom was trying to get by foot to Poleglass [a district in the west of the city], where my Granda lived. To do so she had to walk along the same route as the funeral cortege — which was heading along the Andersonstown Road to Milltown Cemetery — but in the opposite direction. Only just before she saw the procession did it dawn on her that something strange was going on. Men wearing earpieces were checking under cars for bombs. Out of nowhere the car containing your son and Corporal Wood had blundered into the cortege, and within seconds had become trapped. Everyone was screaming and shouting. A crowd surged towards the car. 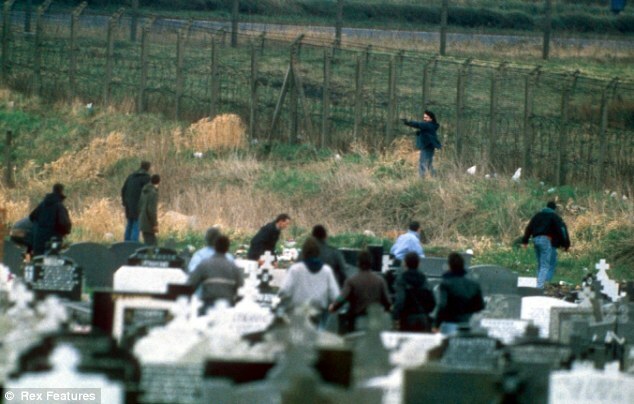 I think their initial reaction was one of pure fear, caused by the deadly attack in Milltown Cemetery a few days earlier by the loyalist gunman Michael Stone. 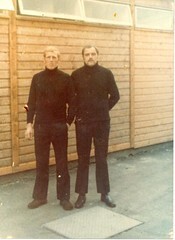 He had killed three mourners at the funeral of the IRA gang shot dead on Gibraltar. Mom tried to get away but she became stuck where she was. To her everlasting regret, she saw most of what followed. As your son’s car was surrounded, other people near my mom were fighting off the watching press. She recalls there was a photographer from the Belfast Telegraph. Some wee runt took his camera off him and shoved him about. Mom shouted over: ‘Leave him alone, it’s Stanley Matchett from the Telegraph [a well-known figure in the local press].’ The fella was quite abusive back to her. Then there was a single gunshot [Wood fired once into the air in an effort to disperse the mob]. Mom tried to move off again. She didn’t know what was going on but surely, she thought, if they were attacking the mourners, the men in the car would have done more than fire a warning shot. She didn’t understand it. In the panic she found herself being moved through one of the entrance gates of Casement Park. She remembers a woman with a baby in a pram go into the park with her. Mom thought she could take refuge there until the situation in the street outside had calmed. It was to prove no hiding place. Mom was only there a short time when men from the cortege dragged in the two soldiers. The gates to the park were then closed. The horror began. Mom wanted to go and help your son and his colleague but was afraid. She asked a man standing in the park if she could be allowed to leave, and he said no. She was told not to watch. She walked away a little but could not help but see. When relaying it to me later that day, she was able to describe everything in detail, from their clothes to their body movements. Mom said they never fought — they were still the whole time. Mom’s been talking about the attack again this week. She said your son was brought in first and they laid him down on the ground. He was already covered in blood. She said she saw a big man with reddish hair being particularly cruel. He was later identified as Henry Maguire. He seemed to be the one in control. 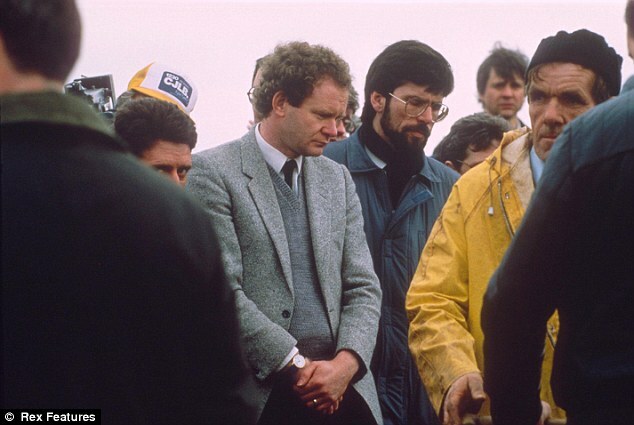 Maguire [later jailed for the soldiers’ murder but freed early under the Good Friday Agreement] kept jumping on your son’s head and kicking him. Corporal Wood was next to be brought in, and he seemed bigger in stature. He endured the same ordeal. They never moved, cried or did anything. She wasn’t sure but even then she thought they must be military with that level of discipline. Mom wondered why no one came to help them. 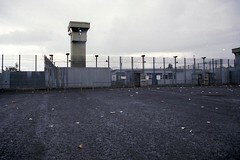 In Belfast, the police are omnipresent but on that day they were nowhere to be seen. Why didn’t the Army helicopter that was directly overhead just lower itself closer to distract the attackers until help arrived? All those unanswered questions. The attack seemed to go on for a long time but the gang then threw the soldiers over the wall before taking them to some spare ground behind a shop on Penny Lane. Mom didn’t know what happened after that, until she saw it on TV. She left Casement Park as soon as she could, and as she was hurrying up the road, she heard the shots — she prayed for the two men as she walked quicker and quicker. It took so long for the security forces to respond. Mom had time to walk as far as the bottom of Stewartstown Road [some two miles] before the Army and RUC Land Rovers went screaming by. Mom got to my Granda’s, and by that stage it was on the news. No one knew the truth, and there was a lot of fear in the city. When I got home, Mom told me everything. For weeks she kept crying. She felt the most awful guilt and shame that she couldn’t help. She’d had to bury our dad. She didn’t want someone else doing the same with their loved ones. She talked about them over and over — how Corporal Wood fired one shot and Corporal Howes fired none. She said that in the middle of them being attacked, they chose to hold back — not to hurt anyone. They basically sacrificed their own lives for those who killed them. During that time in the park, when they were attacked, they were the bravest soldiers England would want. We could not forget. When my youngest son was born a few years later, he was a little poorly and it seemed the right thing to do to give him the middle names ‘Derek David’ as some tribute to them. Yes, a Catholic boy from Belfast named after your son. I know you and your family and Corporal Wood’s family will always love them and be proud of them. I just wanted you to know how much people even over here remember them after all this time. It never once goes away, the pain or frustration. Every time we pass the spot, we pray. And now my son carries a little of them around. We all have our theories on what they were doing there. I know you haven’t been told the full story. People here were terrified after the previous attacks, and the Security Forces backed off so the community could self-police. Some people said the soldiers panicked as the cortege approached, and that is possible. I think they were on some kind of intelligence mission when something happened to frighten them and they tried to leave. These men weren’t rookies. Their determination to hold on to their lives until they were shot proved their strength. We could spend forever asking questions. All I know is that as an Irish Catholic, I am so very proud of them. They taught me the meaning of true Englishmen. They were strong, brave, honourable men who gave their lives for those who killed them. From the bottom of our hearts, we are eternally grateful for their bravery, and so very proud of them. We will never forget them. And what of my son who bears their names? When he was still small I gave him up for adoption. Our life in Belfast had become too much. I felt I had no way out. I wanted more for him, which I could not give. 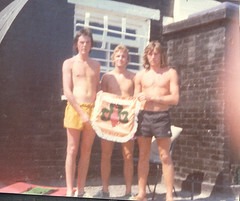 We not only had been kicked around by the ‘ra’ [IRA] but our mother couldn’t cope — and took it out on us. I didn’t want my son to suffer the way my sister and I suffered. I think I’m a very different person now. But the past cannot be altered. We all bear the scars. Our sons, who have the same names, bear them too. Expert CCTV Services vugames-scotland.co.ukThe CCTV Installation Experts. The Future of Security. And to think that Republican called us Butchers.